Rabbi Shimon continues with his pleading to God to redeem the Shechinah from her exile in Malchut. With that, Rabbi Shimon connected to Keter that is concealed and only the Endless light controls it. He is ‘knocking’ on the highest levels in order to create an opening for the light of the Endless to come down to the world and release all oaths and vows. The Shechinah is distant from the Light, like a woman in her monthly period is away from her loving husband. To cleanse her, we use living water that is the Torah with the light that never stops. With this verse from Lamentation, that is dedicated to the pain of the separation of the Shechina from the Light, Rabbi Shimon created a bigger vessel to receive mercy from the Endless. Here, Rabbi Shimon mentions the prophecies that tell us that YHVH is our savior and cleansing power, that can remove all impurities from the earth. The Endless is the source of everything and he feeds all levels of the Tree of Life. Here, we learn from Rabbi Shimon that we need to connect to all aspects of the Tree of Life in order to ask for the Light of the Endless. Everything from Keter and below is the system of the Tree of Life and it follows time and pre defined laws of cause and effect. It is only when we build a bigger vessel, we can draw from the Endless that can change everything on the levels below that are bound by time, space and motion. 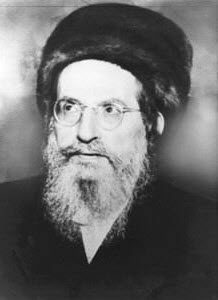 We know that the Endless didn’t bring the Final Redemption in Rabbi Shimon’s time. It should not stop us from using the Zohar that has encapsulated within itself the light and power of Rabbi Shimon to open the heavens. The Zohar gives us connection to all levels of the Tree of Life and we can use it to climb up closer to the Endless. Join UnityZohar.com to harness the power of the Zohar with global unity.